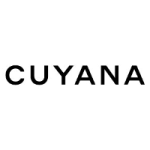 Cuyana is an online fashion brand selling premium essentials for women. The company offers timeless apparel, bags & accessories. All products sport the finest craftsmanship and are made from premium materials. All wardrobe essentials come in substantial variety. There are different types of bags including clutches, totes, travel bags and purses, all of which are made from premium leather. There are various types of dresses, hats and scarves. There are fewer items than mass produced clothes and accessories but all products on the site are of better quality. There is free ground shipping and easy returns within the United States.